In 1993, Francisco Bustamante, at a professional crossroad sought out Dieter Eisele for council. Dieter Eisele, at the time, was the European Black Boar Dealer. He had just received a shipment with a gorgeous Pink Ivory Black Boar cue. Bustamante had completed a sponsorship contract and hadn’t yet decided his next step. Dieter suggested Bustamante take the shiny, new Black Boar and play in the upcoming Bicycle Club Invitational Pro Tour Championship. Bustamante boarded a plane in Germany bound for California, having never hit a ball with the new Black Boar in his case. 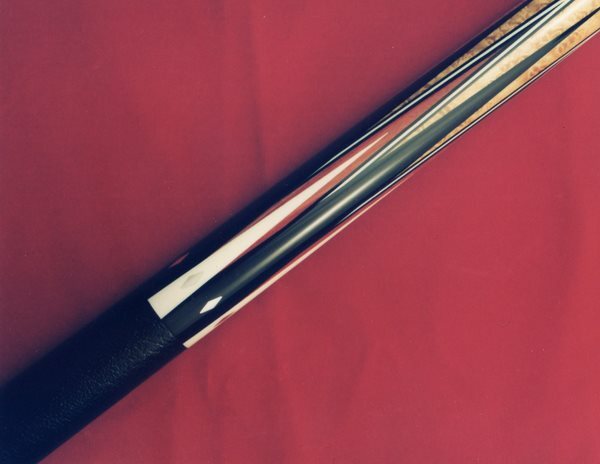 Tony says, “It was an exciting day for me.” Black Boar cues were always engineered and designed for the professional player. Black Boars weren’t conceived with the street amateur in mind. The cues were built for a sharp, definitive, unforgiving stroke, exemplified by the Filipinos. Tony has always admired the Filipino stroke, which delivered perfect precision. He was thrilled to see his cue perform in the hands of a champion. 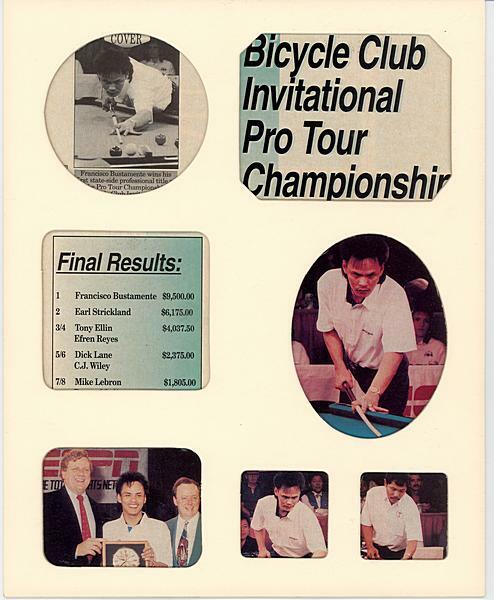 With this Black Boar cue Bustamante won the Bicycle Club Invitational Pro Tour Championship. It is Craig's most recent acquisition, and one of his favorites!